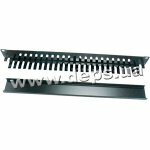 19/1-25 cable carrier is designed for patch cords organizing and stacking in racks. It is a metal panel with curved petals. 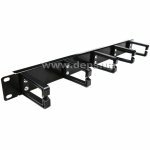 19/1-12 cable carrier designed for unit cables neatly stacking in racks and patch panels. It is a metal panel with curved petals. 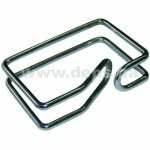 Is designed for supporting and laying of closure cables at crossing sections. 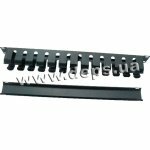 Can be fastened directly at telecommunication rack by means of fasteners included into the complete set.